Alexandria International Airport or El Nouzha Airport (Arabic:مطار الإسكندرية الدولي) (IATA: ALY, ICAO: HEAX) is a public airport located in Alexandria, Egypt, 7 km southeast of the city center. EgyptAir (and subsidiary EgyptAir Express) is the largest airline at the airport, operating over 50 weekly domestic and regional flights with a mixture of Airbus A320-200s and Embraer E-170s. Due to the length of the runways, the largest aircraft operating into the airport are the Airbus A320-200 (most common type), Boeing 737-800 and McDonnell Douglas MD-90-30. The airport will be closed to commercial operations by December 2010 for major renovation and all traffic transferred to Borg El Arab Airport (see 'Future Operations' below). 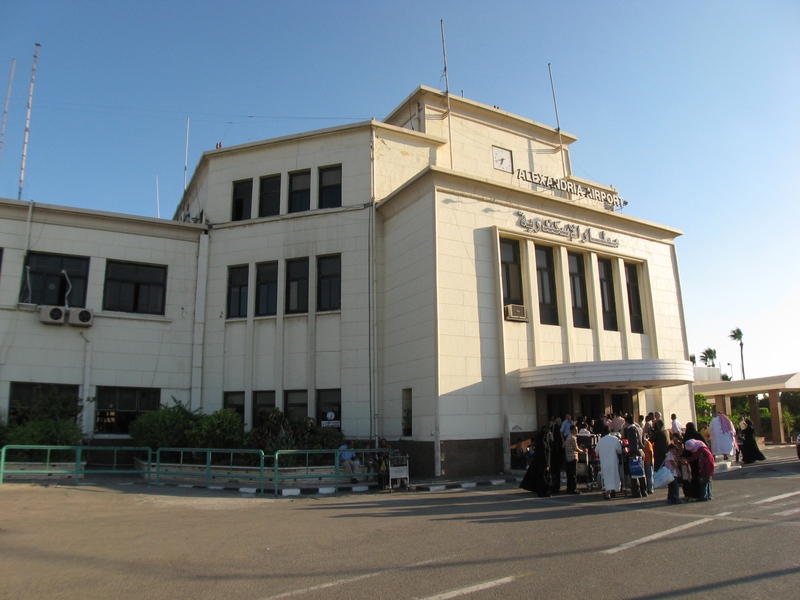 The future of the airport was in doubt with the opening of Borg El Arab Airport, however in early 2010 the Egyptian Ministry of Civil Aviation announced major plans to overhaul the airport and its facilities to ensure its future as one of the two commercial airports for Alexandria and Nile Delta region. The renovation project is expected to cost US$120 million which will include lengthening the main runway (04/22) by an additional 750m and the construction of a new passenger terminal to replace the existing ageing facility. The airport will close down during the fourth quarter of 2010 for two years to implement the expansion project and development. RSTD Rwy 18/36 not auth for acft heavier than AUW 150. Twy W for helicopter use only.